For cruisers, this radar is more than just a convenience. There are other uses for radar that can be lifesavers. references their position to your bow. the birds at long range, it gets them on the fish sooner with less fuel burn. 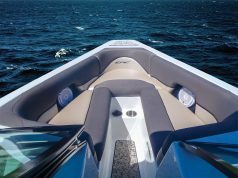 “My favorite radar feature that most boat owners don’t use is the radar offset feature,” McGowan says. 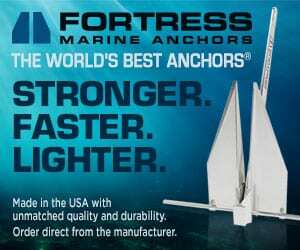 “This allows you to pull the center of the radar sweep, where your boat is, either one-third or two-thirds of the diameter of the screen downwards. 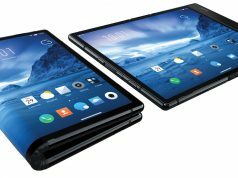 The benefit is it gives you more lookahead visibility without having to change the radar’s range scale or making the target display smaller.” Radar offset is important because most of the time you’re going to be moving ahead at speed. It’s convenient to be able to see farther ahead on the radar scope, sacrificing some range to the rear. There are many uses for radar. 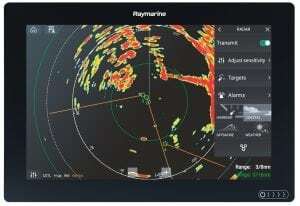 Some other uses for radar include keeping tabs on what’s in your way is enhanced with MARPA (mini automatic radar plotting aid) and ARPA (automatic radar plotting aid). 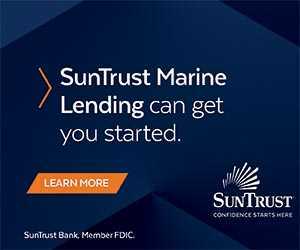 There are collision avoidance tools built into the radar system that enable it to track targets on the scope, calculate their course and speed and advise you of potential collisions. MARPA-equipped radars require you to manually select a target and enter it into tracking mode. ARPA-equipped radars can automatically acquire new targets that enter safety or guard zones you specify. McGowan highlights the importance of wireless technology. 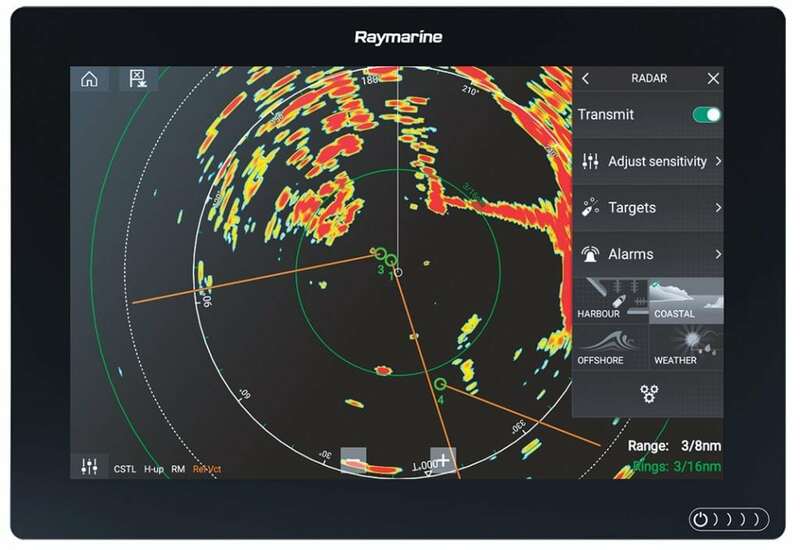 “Raymarine’s latest generation Quantum radars have Wi-Fi connectivity to link them to the boat’s multifunction displays. This eliminates the heavy and expensive inter-unit data cable while maintaining a link that is reliable and secure. 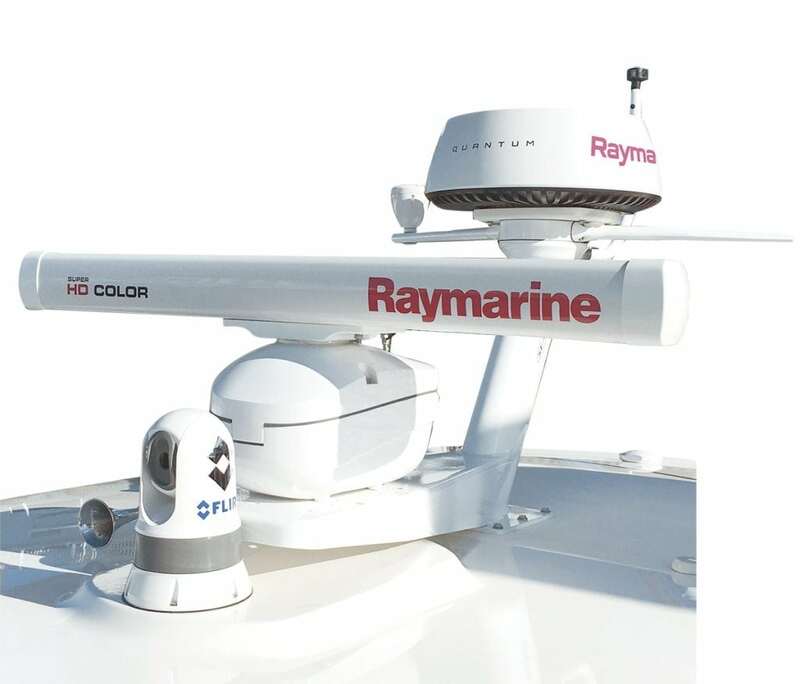 Installation is simplified, and the overall cost of the system is reduced, which is a win for boat owners.” Raymarine has added several new features and technologies to its radar line in the last year. 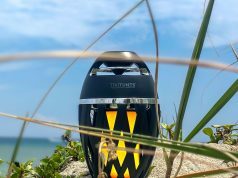 Its newest innovation is the Quantum 2 CHIRP radar complete with more uses for radar, like Doppler Target Tracking. Doppler radar makes it even easier to interpret the radar display and determine at a glance which targets are headed toward you and which are moving away. Doppler radar can specifically determine which targets are moving and which are stationary, and then color-code them for easy identification. Red targets, for example, are ones to watch as they are closing in range. or a sector of the scope. Any radar targets that enter that zone will automatically acquire and track it with no manual intervention required. adjusting settings, and see what happens.” You know what they say: Practice makes perfect. When it comes to radar, practice makes you confident.